Police are appealing for witnesses to a robbery at a newsagents in Crawley. 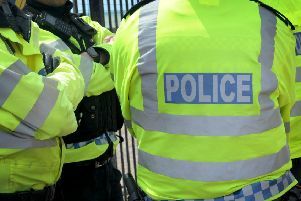 At around 12.45pm yesterday (May 29) two suspects entered Ifield Green Stores with a suspected gun and demanded money from the till, police said. The shop keeper explained she was unable to do so and one of the suspects then took a number of items from the cigarette kiosk before the pair left the store. The two men were seen to head along Rectory Lane and then get into a small black car which was parked at the junction of Tweed Lane, police added. Police confirmed no one was injured during the robbery but both the shop worker and a witness who was in the store at the time were left understandably shaken. The suspects are described as men, both dressed in dark clothing, wearing gloves and face coverings and both spoke with English accents. Anyone who was in the area at the time and may have information should report online here or call Sussex Police on 101 quoting serial 650 of 29/05. Alternatively people can contact the independent charity Crimestoppers anonymously here or call 0800 555 111.